I don't think you have any idea what JOYS homeschooling holds until you have been at it for some time. After three years I am finally embracing my children's desires and teaching (well, really it's facilitating) to their hearts. I am immensely grateful for this lifestyle we live. I am grateful for a husband that makes it all possible. I am grateful for a hugely supportive community. It seems like everywhere I turn someone is starting to homeschool or asking me about homeschool. Remember when I talked about being a homeschool ambassador? I feel that is my God given mission right now: to share the joys of this life with others so that they are not AFRAID to give it a try, too. One of the largest blessings since I have been homeschooling has been the gift of friendships - friendships not only for my children, but also for myself. I am finding that we all have time to form more DEEP, LASTING relationships as homeschoolers. My friend, Hope, is one of my blessings. She has three children - the oldest of whom is GMan's age. 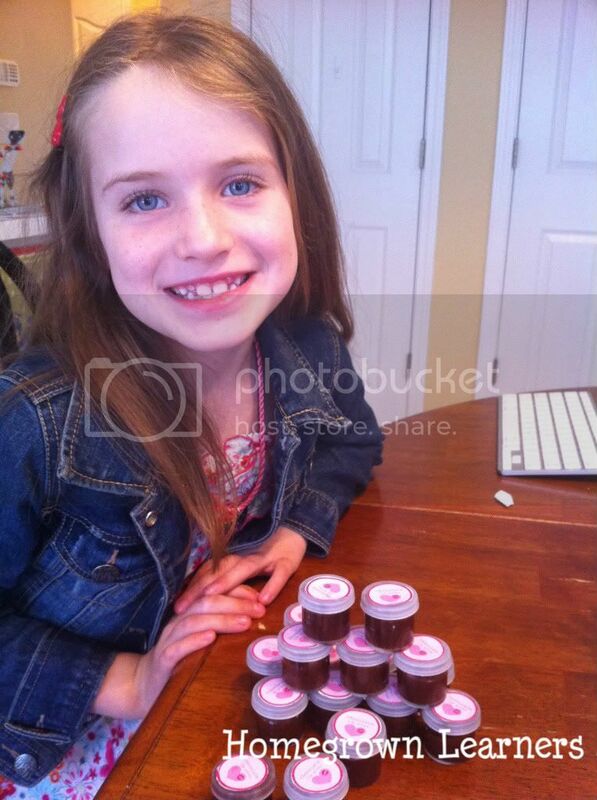 We adore Hope's family and do a lot with them. Hope is also an encouragement to me (as well as a huge idea person!). We decided this week to swap children for a morning. She gave me her oldest daughter, and I gave her GMan. 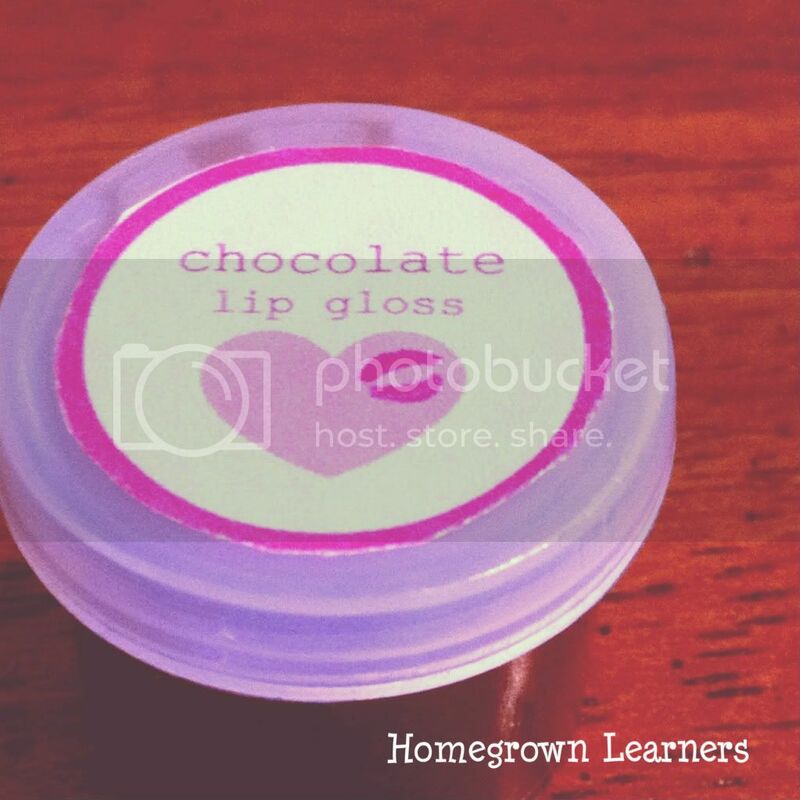 Hope took the three boys to a local nature area for a hike, while I kept the girls at my house and made chocolate lip gloss for Valentine treat bags. As another friend of ours put it - "This is co op in the truest sense of the word!" The children were learning about nature, following directions, being creative, fostering friendships, and so much more (plus I DID make sure to torture with some math and writing before all the fun started!). 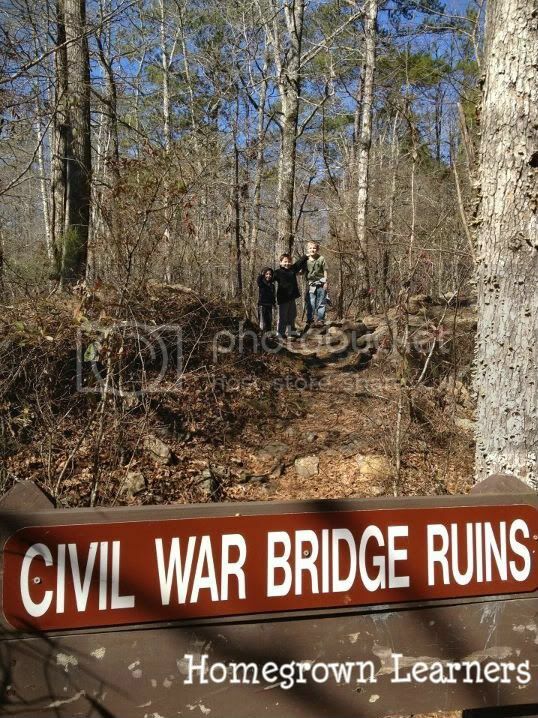 Here the boys are at a local Civil War Bridge. I never knew this existed until Hope told me about it (it is only a few miles from where we live)... GMan thought this bridge was pretty cool. I think he's trying to be a human bridge, too! I'm very thankful for iPhones - Hope and I are both slightly addicted to our iPhones - we love to text pictures of the kids, Tweet, Instagram, and anything else! 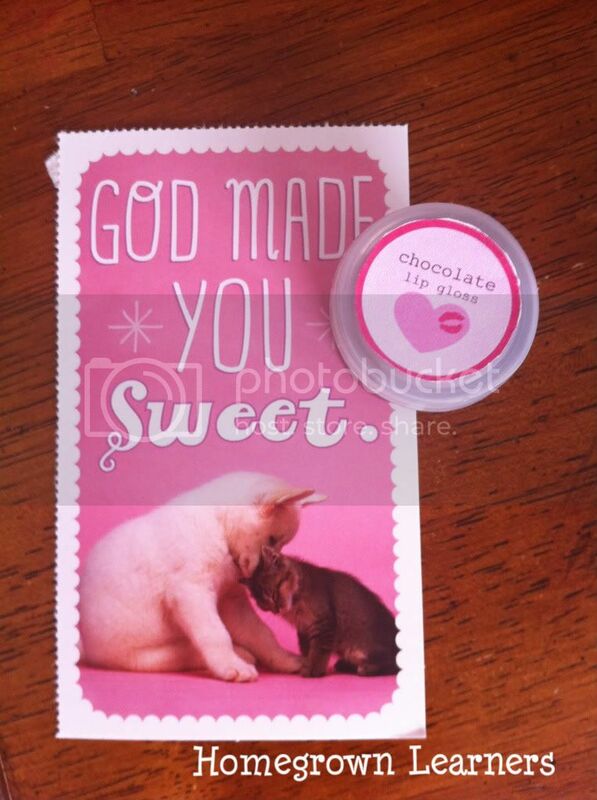 I love it that Miss B chose these sweet Valentine cards from Dayspring... she enjoyed filling her treat bags for her friends at co op and assorted other girlfriends she knows. Hope's daughter is so pretty - she is a bit younger than Miss B, but I think they have a great friendship. 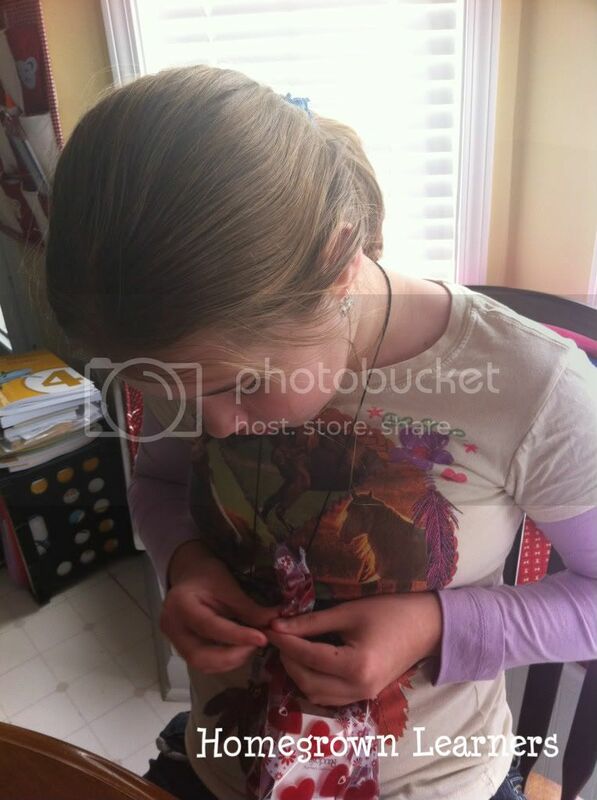 My daughter pictures herself as a mentor of sorts - it's really sweet. My heart overflows with happiness as I watch my oldest creating and following her passions... and wanting to share her talents and creations. 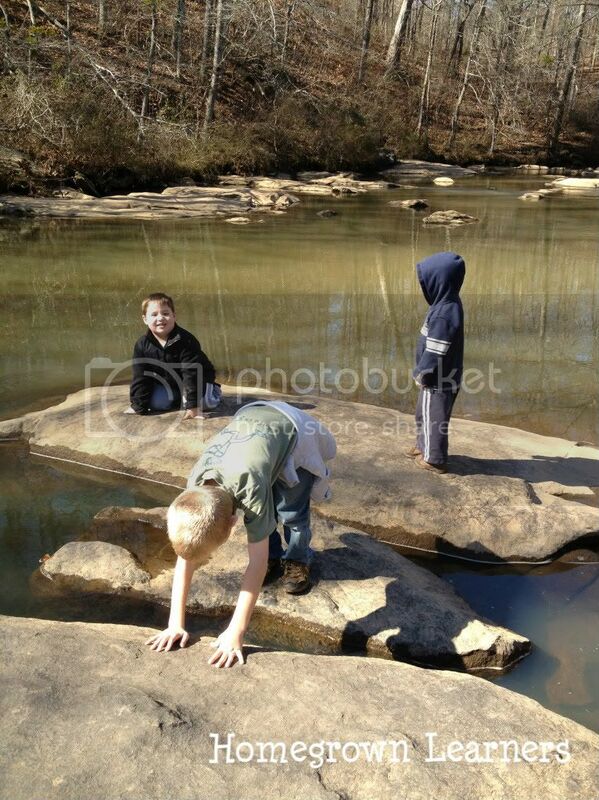 It makes me happy to see my son exhausted at the end of the day because he had a good time outdoors with friends. I love that I could sit and eat lunch with my sweet friend while our children kept each other occupied. I could go on and on... but for now I'm just plain grateful.